Alan Joyce pie in face incident results in assault charge for 67yo man. A man who smashed a lemon meringue pie into the face of Qantas chief executive Alan Joyce during a business forum in Perth has been charged over the attack. 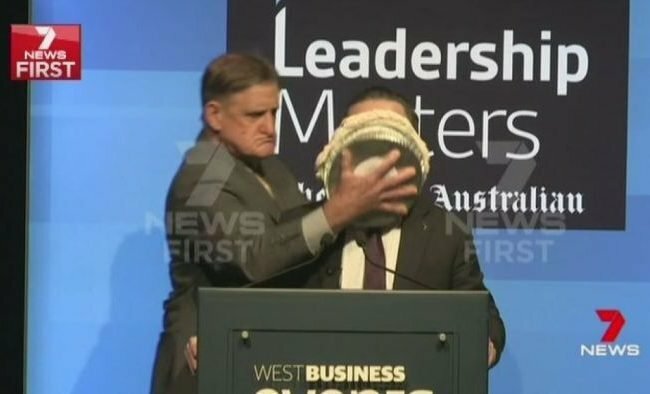 Tony Overheu, a former farmer, walked onto the stage and rubbed the pie into Mr Joyce’s face earlier this week while he was addressing a crowd of about 500 people. Police initially charged the 67-year-old with providing false details, but Overheu is now also facing charges of common assault, trespass and damage. Overheu said he wanted to demonstrate his opposition to corporate support for marriage equality. He is due to face a Perth court on June 7.